The selection of pictures this time is from those owned by the Royal Air Force. 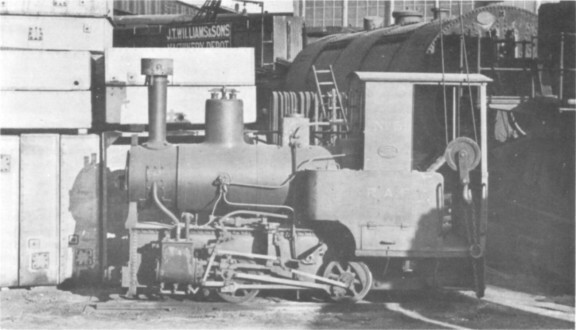 Manning Wardle 0−4−0 saddle tank R.A.F. 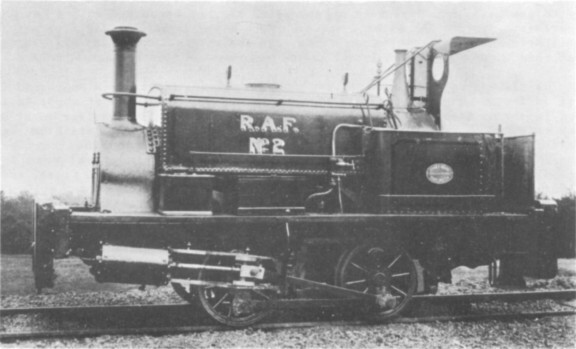 No.2 was photographed after she had been through Wake's hands, and the plate on the side of the cab reads "John F. Wake, Geneva Engineering Works, Darlington". Does anyone know her works number? 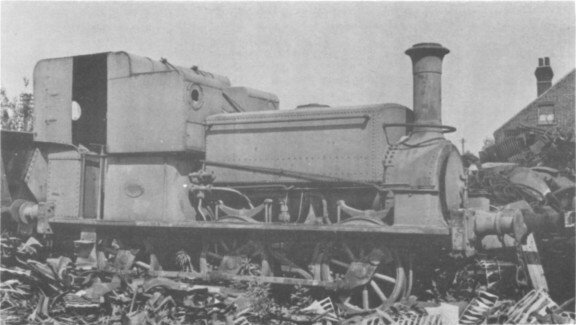 The Manning Wardle 0−6−0 saddle tank (212 of 1866) was at Thos. W. Ward's depot at Columbia Wharf, Grays, in 1949. She had come from Halton Camp, Bucks, and was discovered whilst I was looking for ex−GWR Dean Goods engines returned from France! R.A.F. No.5 was taken at the machinery depot of J. T. Williams & Sons at Rotherhithe in 1949. A 2ft 0in gauge Barclay (1454 of 1918), it was formerly at Kidbrooke Camp. George Alliez and I made an interesting sight as we stood on our bikes to get our cameras over the wall!